Lets be honest, people: there’s nothing worse than disembarking a long flight only to have to spend another hour getting to and from your hotel room. 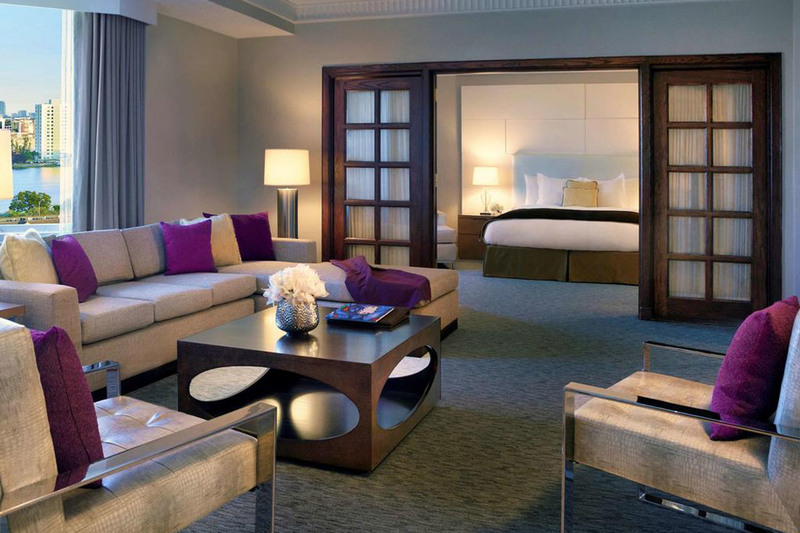 Luckily you can avoid all that hassle by booking a hotel near Miami airport. Although airport hotels don't always have a reputation for being the most glamorous options in the city, they sure are convenient. 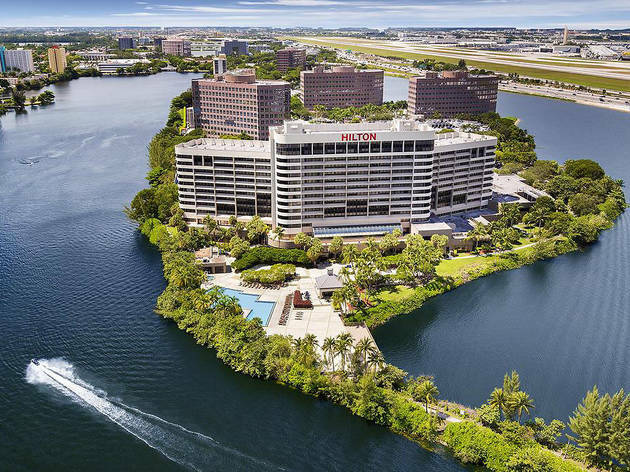 So whether you’re looking for cheap hotels in Miami or high-end chains with amenities galore, this list offers something for everyone. 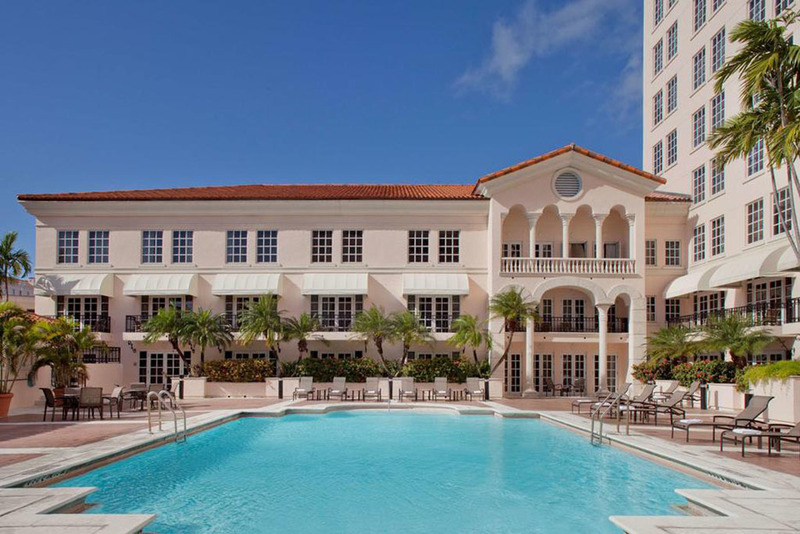 As an added bonus, these hotels aren't only just in the vicinity of Miami International Airport, but they make a great base for exploring all of Miami's fantastic attractions and beaches, too. 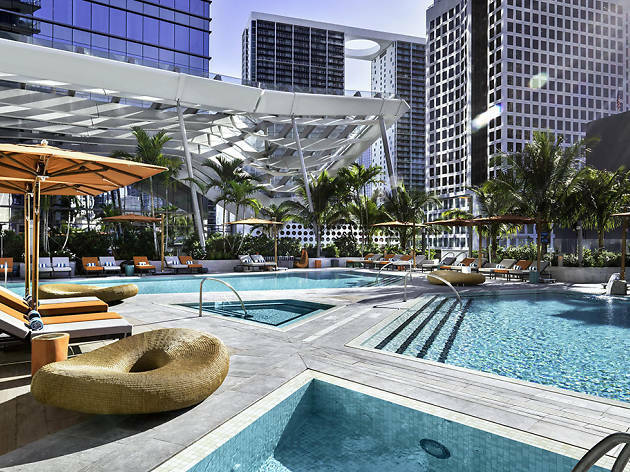 Here's our pick of the best Miami airport hotels, so no matter if you’re coming to town for one night or one week, you'll have comfort, convenience and a stylish stay. 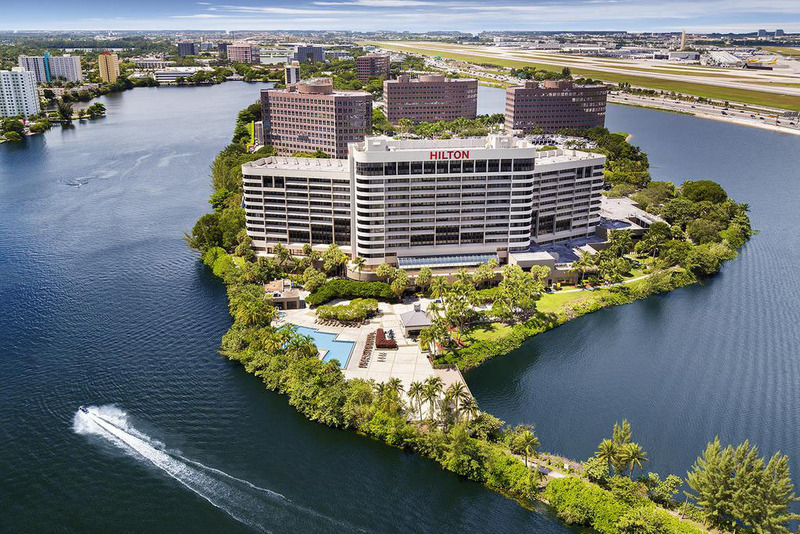 Set in a flourishing location that resembles the sweeping panoramics peppered throughout Hollywood movies, the sleek Hilton Miami Airport Blue Lagoon caters to business travelers and vacationers alike with its spectacular vista, outdoor activities and functional workspaces. Time Out tip: Whether you’re used to sinking holes-in-one or have never picked up a putter before, you can surely wedge in nine holes at the Granada Golf Course. Opened in 1923, this historic course is among the oldest in the state. It’s also one of the best for beginners, with a fully stocked pro shop and no water hazards. 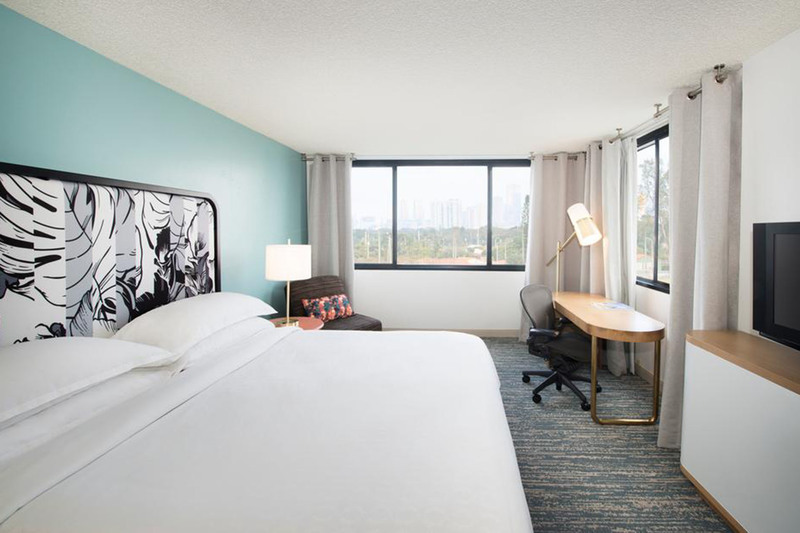 Proof that the best Miami airport hotels offer more than just a decent night's sleep, this convenient airport-adjacent hotel has much more flair than the standard options. In fact, to simply call the venue aesthetically pleasing would be an understatement, thanks to an interior laden with contemporary art and sophisticated furnishings and an exterior that evokes a sense of tropical grandeur. Time Out tip: Traveling with family? The Pullman Miami Airport offers free accommodations and breakfast for up to two children under 12, so you can afford to bring the kids along on your next vacation. (We'll let you decide if that's good news or not). 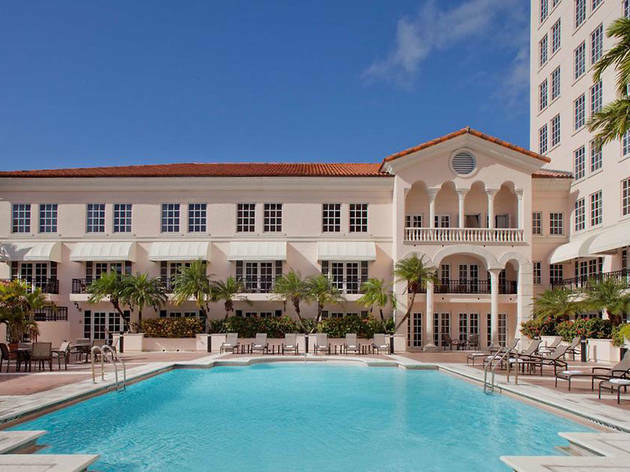 Old-world Spanish decor meets modern amenities in this charming Coral Gables hotel. 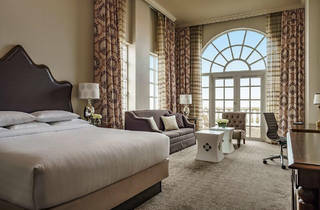 At an easy distance from the strip, this airport hotel is not only advantageous for those waiting for flights, but for those with an insatiable streak of Miami wanderlust, too. Time Out tip: No shade to the pool at the Hyatt Regency, but it just can’t compare to the crystal clear waters of the nearby Venetian Pool. The most gorgeous swimming hole in Coral Gables (if not the world) was once a coral rock quarry before it was turned into a full-service pool in the 1920s. Fed by a subterranean aquifer and flanked by palm trees, the freshwater pool looks impossibly idyllic. Since tourists descend on the pool over the weekend, you’ll want to visit on a weekday for a more serene swimming experience. 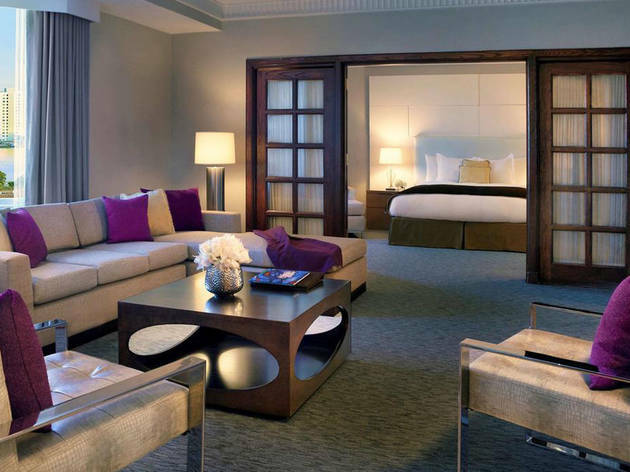 Don't let the humdrum exterior full you, inside the Sheraton lays some understated but impeccably stylish decor. 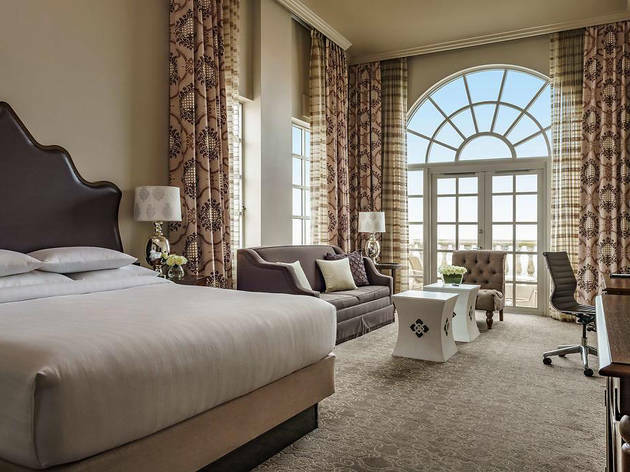 But mostly, it's the proximity to an 18-hole golf course and an abundance of meeting rooms that make the Sheraton the perfect spot for business travelers. Time Out tip: You can’t visit Little Havana without making a pilgrimage to Versailles, one of the city’s most iconic restaurants and a landmark in its own right. Ropa vieja, cubanos, seafood paella, flan: Versailles does all of it impeccably. Settle into a booth in the mirrored dining room, order up a Cuban feast and take in the ambiance—you won’t find anything like it anywhere else. 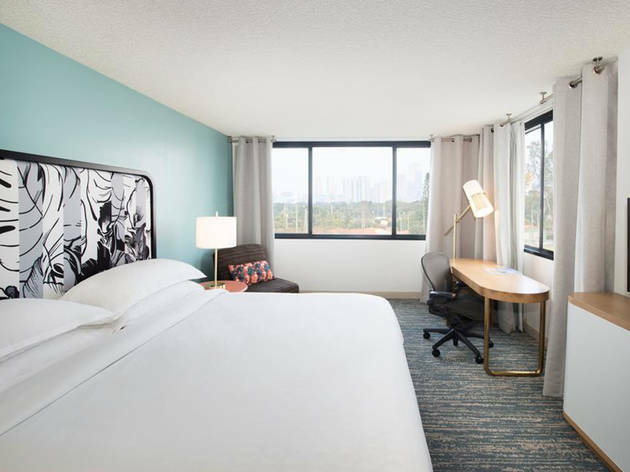 With luxe wooden furniture, warm orange accents and smooth marble features, this boutique hotel brings a hint of luxury to the area near Miami International Airport. 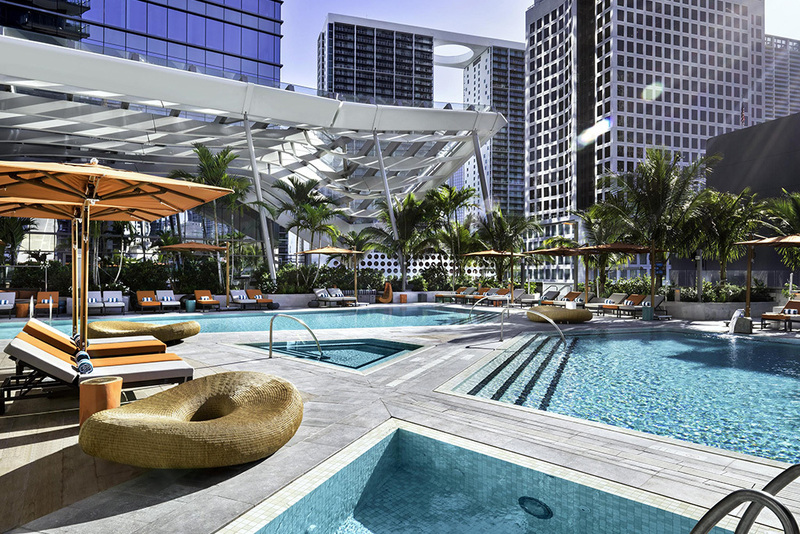 The EB Hotel boasts an impressive location and a similarly impressive range of amenities making it one of the best places to stay in Miami for 21st-century travelers. Time Out tip: Guests wanting some time to commune with nature might want to check out Amelia Earhart Park. Though it’s a solid 20-minute drive from the hotel, the park offers something for everyone: Kiddos will find endless entertainment in the farm village, petting zoo, skate park and playground, while grown-up adventure seekers can rent mountain bikes to traverse the park’s well-maintained trails.